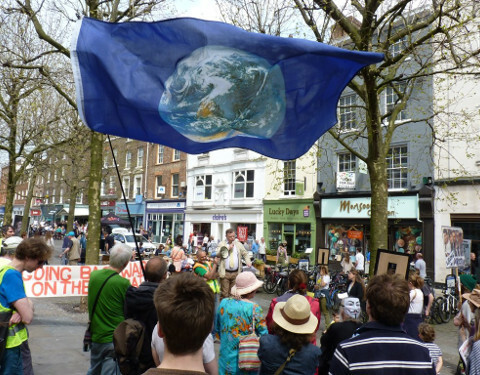 As well as the London march Going Backwards events were held round the country on 7th and 8th May. 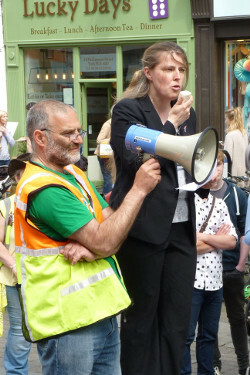 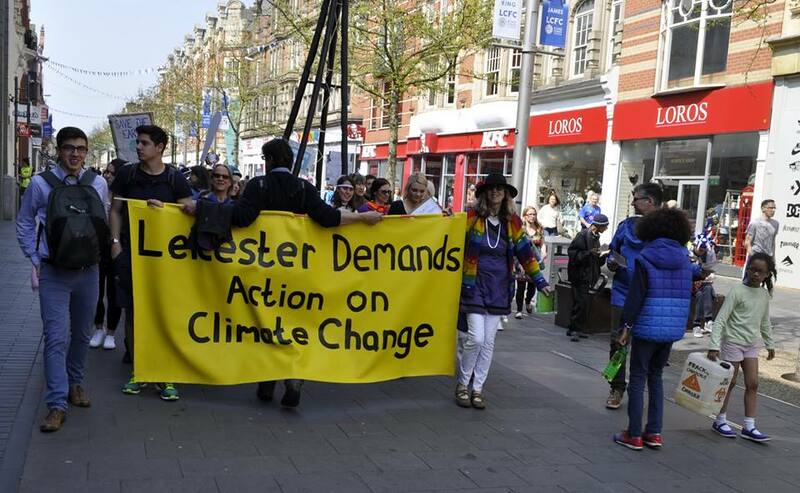 Meeting in Beeston High St just outside Nottingham on Sat, there was a lively protest attracting much public attention about how the Tories have undone actions to limit climate change since they were elected a year ago. 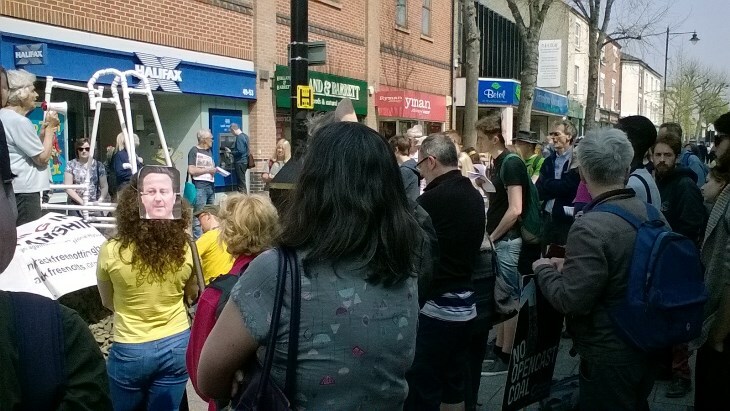 Over 50 protesters, many wearing Cameron masks staged a walking backwards protest for the media before marching to Anna Soubry MP's (minister for business) constituency office to deliver a letter of protest. 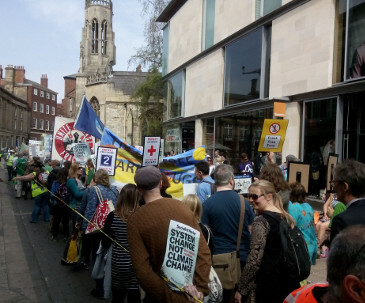 Diverse Protesters, + many young people, were from a variety of local environmental groups with speakers from Frack Free Notts, Nottm Global Justice Now, local anti TTIP campaigners, The Green Party, a local Labour Councillor and neighbouring Derby campaigners. 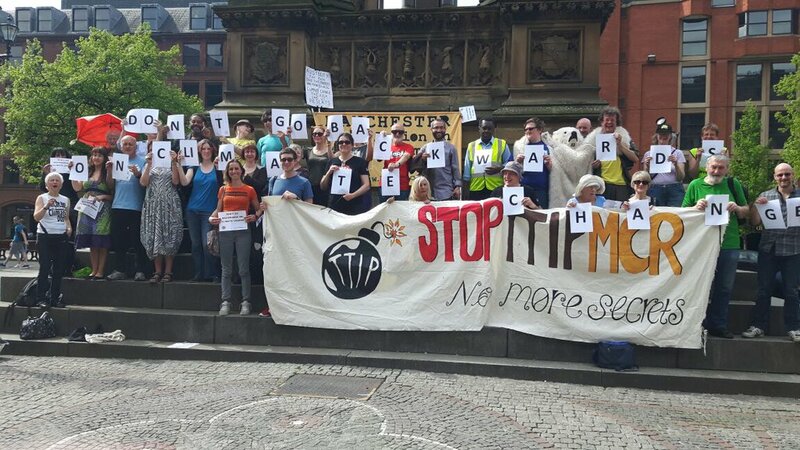 The march assembled in Castle Park at 12, to set off at half past, heading around the centre and then to College Green for a rally: Pictures to come! 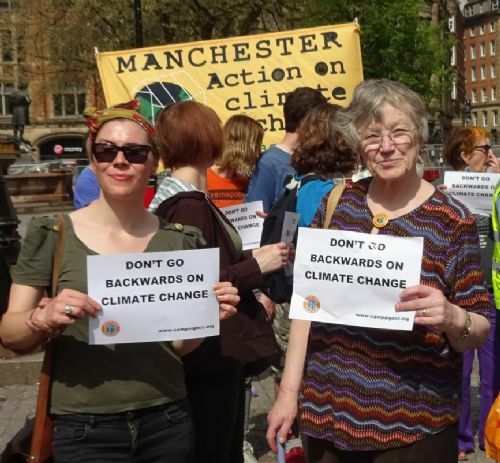 Over 100 people, including a very strong contingent from the regional anti fracking campaigns (and some drummers) gathered for the backwards march. 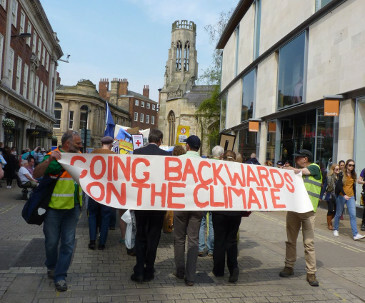 Speakers afterwards included Rachael Maskell MP (Labour), Cllr Andrew Waller (Lib Dem), Cllr Denise Craghill (Green Party), Richard Lane, chair of York Community Energy and Jenny Cooke, of the Institute for Civil Engineers. 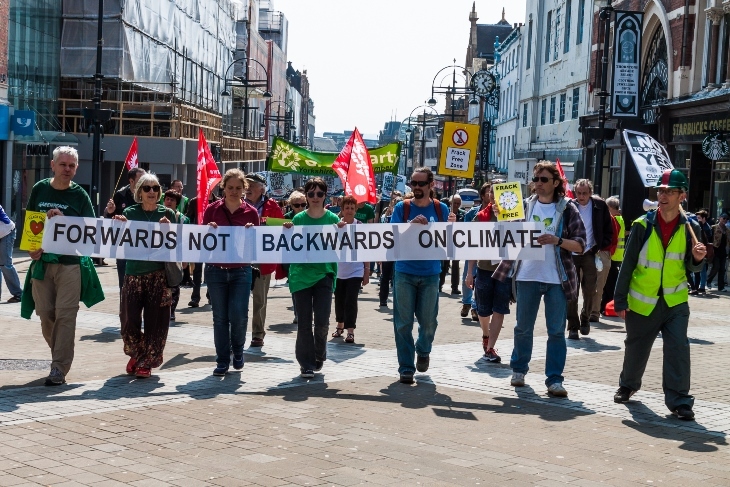 Saturday 7 May, Going Backwards event, 2pm as part of Sidmouth Sea Fest at The Ham, Sidmouth.